The spa area in Hotel Gasthof Huber is open daily from 4pm to 7pm. Besides a Finnish sauna and a Turkish steam room, the spa area also includes a quiet room where you can relax. Naturally, fluffy sauna towels are provided for your use! As we are a member of the Tourist Association, our guests receive a Premium HOLIDAY PASS free of charge. 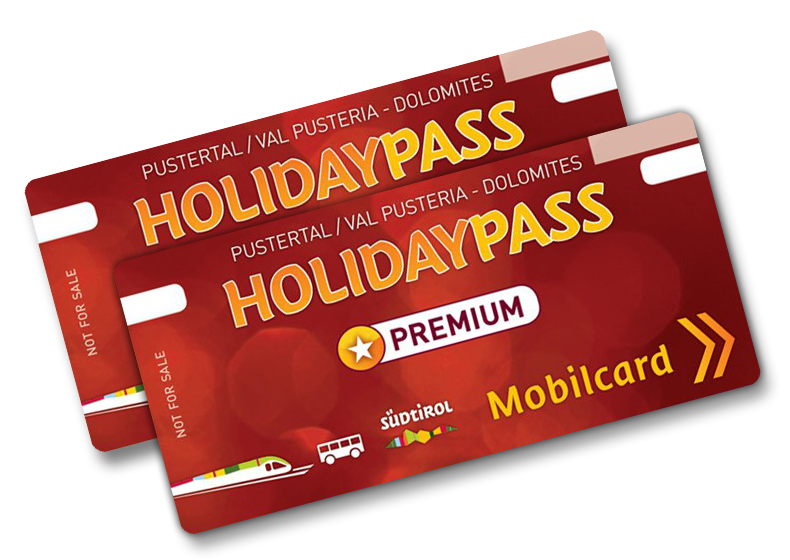 The Premium HOLIDAY PASS includes free use of all public transport in South Tyrol: public buses, city buses, ski buses and regional trains, plus a colourful range of weekly activities and discounts on numerous services. 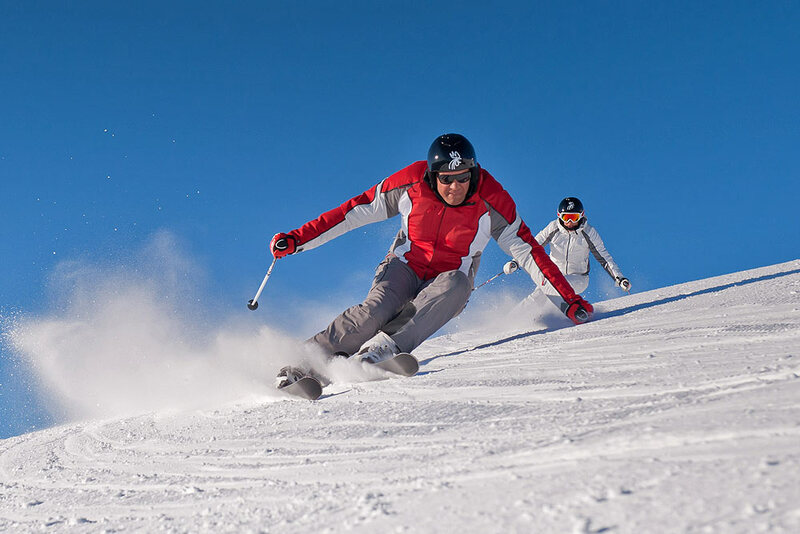 We have reserved a free parking space for our guests right next to the Percha/Kronplatz lifts. Luxury buffet breakfast with fresh, regional products, daily from 7am to 10am. Our local Puster Valley bakery supplies us with fresh bread every day. 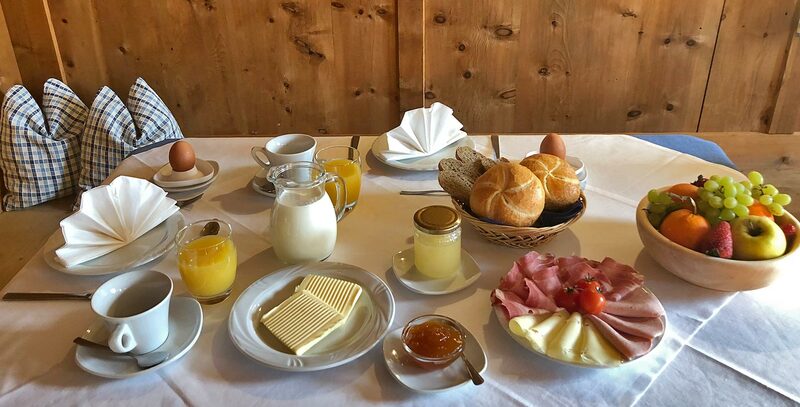 Our luxury breakfast buffet offers a range of sliced meats and cheeses, South Tyrolean farmhouse butter and fresh yoghurt, jams, fresh fruit salad and sweet treats. Egg dishes are prepared directly in our kitchens, and guests are also welcome to help themselves from the juice bar. You are welcome to order lunch à-la-carte in our established restaurant. 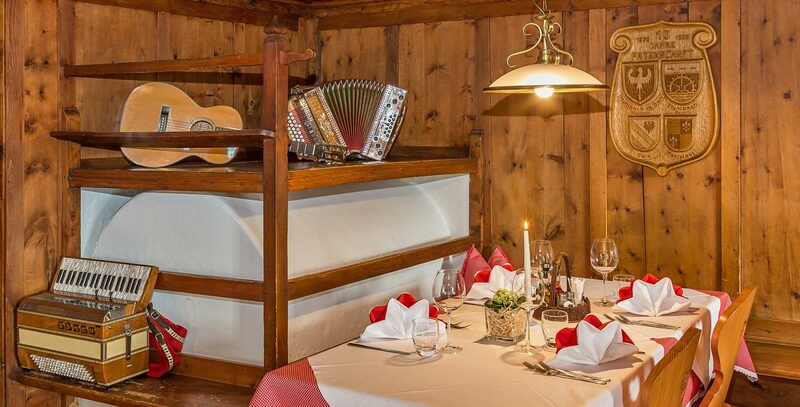 Our menu includes a wide range of classic dishes and South Tyrolean specialities for appetites large and small. You can order lunch in our restaurant daily from 12 noon to 2pm. 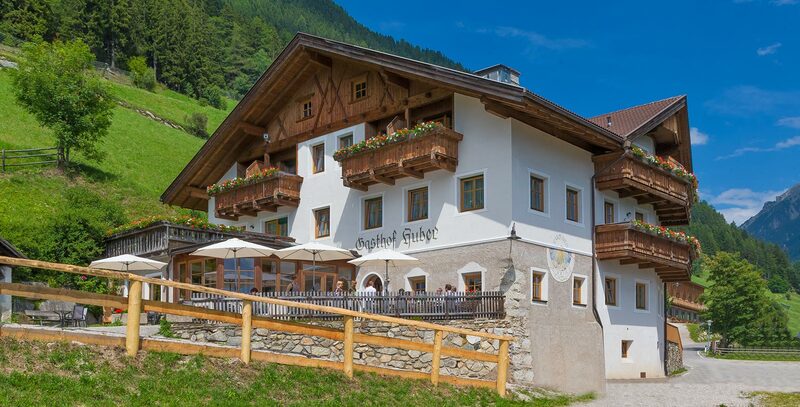 Every evening, chef Hannes waits to pamper your taste buds with delicious South Tyrolean starters or Italian pasta dishes. When in season, we serve fresh salads and vegetables straight from our own kitchen gardens. Our main courses are tastefully prepared with regional ingredients, sourced from our own farm where possible. We offer a wide selection of freshly prepared desserts – prepared with loving care by our chef Hannes. In our à-la-carte restaurant, you will find a seasonal menu with tasty dishes, catering to appetites large and small. The restaurant is open daily from 12 noon to 2pm and every evening from 6pm to 9pm.